This is the first documentation of specific cross-cultural behaviors at the level of medical practices that took place between trappers and Native Americans. Relatively speaking, this is early in trapper history for the United States. Trappers during the colonial years lived a lifestyle that was distinctly different from the United States trappers. This was in large part due to the nature of the profession, the means by which trade was established between trappers and investors, and the heavy influence British government had on this profession and its legalities up until the Revolutionary War. During the Revolutionary War, trapper life was still in its traditional state in the Great Northwest territory in and around the Great Lakes, but the pressures of the colonial wars would soon influence interactions between trappers south of the Great Lakes and people in Canada. Some of the best late 18th century trapper insights come from these Canadian trappers, most of them residing in the French Canadian region around Quebec. Still, these trappers are very different from the United States persona that defines this country’s first trappers. The French trappers demonstrated their cultural influences far south of what later became to Canadian border. French trappers and other French vocations related to the trappers like the voyageurs and cours de bois had an influence in this part of lower North America as well. During these times, British Fur Trade companies were still dominating the wilderness-Fort scene, with some United State entrepreneurs beginning to invest in this part of North American between 1805 and 1815, the period which this review of trapper medicine covers. The earliest years of trapping consisted of less Native American influence and residuals of the Hudson Bay Company and American military medicine influence. The strongest evidence for this is the inclusion of laudanum, opium, mercurials, and other mineral remedies in the trappers medical and pharmacal way of thinking. Natural remedies are seen in many of the plants noted here, but some of these plants really do little to change much of the medical routine. The imported Ipecac was replaced by American emetics. The European laxatives and purgatives (strong laxatives) by a few local plants with these activities. In the beginning of this period in trapping history, if we begin with the Lewis and Clark expedition as the first such journey by a trapper in the Lewis & Clark team, then from this point on we expect to see a slow transition from post-colonial regular medicine, often military-like in its types of provisions, to the incorporation of new native herbal remedies that are not at all mineral in nature. Whereas during the war, the point of emphasizing mineral remedies related to their shelflife, the early US trappers realized that shelflife was the least of their worries. They had to be more concerned with knowing what remedies were abundant and all around them, in order to avoid having to pay for several months supply of military provisions of laudanum, ipecac, hartshorn (ammonia powder), various mineral powders and the like. Trapper’s medicine often made use of some fairly easy to find items, like whiskey, scotch, rum, gunpowder, deer fat, or bear gall, and on occasion the local emetic or purgative, if they knew the identity of these plants due to their interactions with Natives. The influence of Native American remedies upon trappers would take about 15 to 20 years to become a standard part of their tradition practiced by nearly all members of this profession. Even then, the forts and government sponsored employees of these settings pushed their products and influences upon trappers. For this reason trappers still made some use of the opium drugs like laudanum on occasion for their pains. It is unusual for a trapper to have quinine with him unless he just obtained some, or was actually a government supported or even sponsored entrepreneur travelling through the wilderness (i.e. an informant to interact with Natives). The best kinds of people to read about in these settings are the metis or half-breed as they are often impolitely called. There are a few diaries, journals and official papers that discuss these social settings. But this evidence again does not surface until 10 or 15 years later in trapper history. 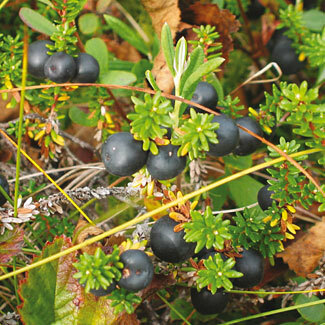 What we learn about the most with these few items is the amount of learning that is taking place about edible berries in the wilderness, and the more details that are being written out about Native American social and religious rituals. These trappers are really explorers for the most part. Their notes provide some of the more important insights into the medical traditions of Indians (for example, see Jongleurs, Medicine Bag, Medicine Man, Object or Spirit Intrusion). “different kind of roots” were eaten by the “Askettihs.” For other food sources: Wild Onion was formed into an edible syrup, salmon was dried, and berries. See page 176, 14 June 1808 for similar food note. On the 20th, a Tuesday, the “Swhanemugh” presented the traders with berries, roots and oil in abundance. See Dogs, Moss, Roots, Seed Oils, Wild Onion. See separate entries for Turlington Balsam and Laudanum, used by Fraser and the traders to treat the ailing children they met on July 14, 1808. 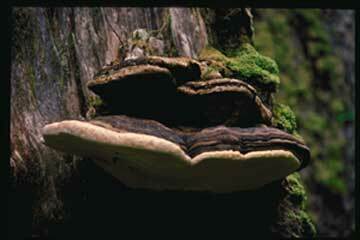 There are several possibilities for this hemlock tree fungus with Native American use. The most likely candidates are the very woody basidiomycetes like the above. Yellow sulphur mushrooms are very unlikely to be have been used in the fashion. For pertinent notes, see Jongleurs, Medicine Bag, Medicine Man, Object or Spirit Intrusion, and the notes on James McKenzie at the end. Allopathic (regular doctor) healing. A specially prepared opium extract. Gillenia trifoliata. Alternatives: Euphoriba ipecacuanha and Apocynum androsaemifolioum? My initial suspicion was Apocynum. Having reviewed the 18th century botanicals extensively, I believe this common name may also suggests one of the American Ipecacs. Cadwallader Colden’s American Ipecac or the Euphorbia ipecacuanha. 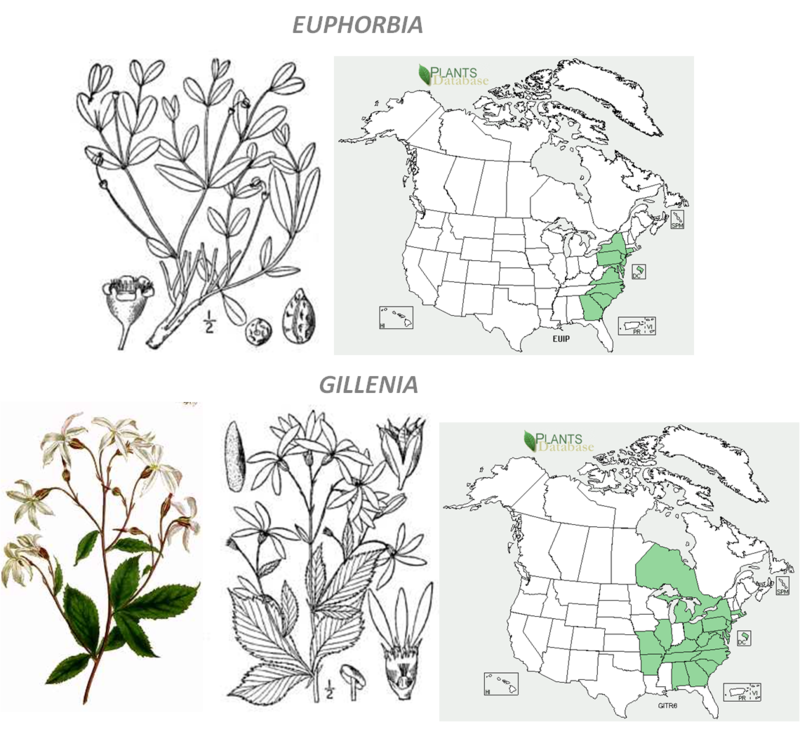 Gillenia trifoliata is the American Ipecac of the midwest to farwest, but could have a later discovery that Malhiot’s years of travel. If we apply this to the trapper history of the Farwest alone, neither of these species really work due to their eastern distribution. Apocynum may suffice as a western American Ipecac. A description of a Conjuring or Medicine Bag is given, which included roots, barks, weeds, grasses, dyed quills, Swan’s down, and small bits of wood made into knick knacks of different shapes made according to what the Medicine Man dreamt. Roots and other medicines may have been bought from other Medicine Men. The ritual for becoming a Medicine Man is briefly mentioned by Cameron. A period of abstinence from food and putting on “make-up” is required. “The young fellow is now admitted to all their conjuring feasts and ceremonies, and he, by degrees, acquires impudence enough to pretend that he knows more than those who instructed him; he is now a complete quack and an accomplished conjuror, who, by his knowledge, can cure all imaginable wounds or diseases, and become as secrete and mysterious in his performance as ever a free mason was with his sublime mysteries.” The onset of an illness or disease was often blamed on the conjurer. Identity uncertain. Lungwort lichen is a possibility, or a dark colored moss. Keith attributed these healing traditions to the Natives having no idea of the existence of a God (as Keith defined it) or a Supernatural being. This he based on their definition for the causes for death–their enemies. This description includes accounts of healing by song and by sucking. “When they have a sore throat they fancy a fish in the course of it, and, to get rid of it, they fasten a strip of net round their necks…” Invasion of Animal Spirit healing concept, from Mr. James McKenzie’s The King’s Posts and Journal of a Canoe Jaunt through the King’s Domains, 1808, The Saguenay and the Labrador Coast. [II, 401-454], p. 427. Mentions little. See Thursday, 15th June, 1808 entry. Toothache, headache and Colic remedy. [July, 16, 25 and 26, 1804] Can find numerous other entries of “Rhum” as well. Identification: Rum? Latina/o term for this beverage is rhum. The latin term Rheum refers to Rhubarb, which is not at all native. Rhum may also refer to Rheuma as in Rheumatism. Also not likely. Scurvy–see Turlington Balsam and Laudanum entries. Sunflower and roots noted. The roots of H. tuberosa are “Jerusalem artichokes.” Could be this plant. redwood (bearsfoot)–related to 19th C. Bear’s Foot? Four children were afflicted with a disorder of living condition that left them “reduced to their skeletons.” (lack of food? scurvy? ); Fraser requested Turlington’s Balsam of one of his partners, instead he was brought Laudanum. NOTE: This letter was addressed to “Rod. McKenzie, Esq.,” and written at “McKenzies’s River Department, Bear Lake,” on 19th November, 1812, on pages 100-110. This may be a true wild onion (Allium sp.,) but might also be a look-alike such as edible camas (Camassia sp. ).